Turning 30 was a milestone for Jon Richardson – in more ways than one. In a typically forthright interview with Radio Teesdale’s Peter Dixon, Richardson admits that he spent most of his twenties in isolation, living on his own in Swindon and playing just about any gig he could to pay the bills. Then fame creeped up on him, with spots on Have I Got News For You, Stand Up For The Week and eventually a regular position on 8 Out Of 10 Cats. Surrounded by people on a national tour – and with a Christmas DVD in sight – Richardson has been forced to re-evaluate his daily routine, and question whether there’s more to come in his career. Will his comedy stand the test of time like his idols, or is this it? PD: Hello there Jon. You’ve got such a busy life; do you enjoy the variety of work that comes with being a comedian? JR: Yeah, absolutely. I count myself as very lucky; most people do the same thing all day every day, whereas I get to do bits of TV, bits of radio and write stuff down. I’m very lucky at the moment, and I take everything that comes my way because there’ll be a day when I’m sat by the phone and it’s not ringing. When you start doing gigs as a comic – and you’re doing these things for free – your only goal is to make a living from it. My only ambition was to pay the bills doing gigs. Then once you’ve gone so far beyond that-I don’t know. I don’t know what I’m going to do now. I’m so far beyond my own mind that I might have to just contemplate what I’ve done for a little while – and then think about what I might want to do in the future. JR: I think there’s a lot of work before you get yourself on telly and people are recognising you in the street. And naturally as soon as people see you on the telly you’re seen as a new thing. I did five or six years on the circuit before I was getting offered anything like that. When you’re on something regular – I did quite a few guest spots on Have I Got News For You before 8 Out Of 10 Cats – people get to know you. They’re aware of the line-up even if you don’t watch it. PD: You’ve labelled this as a greatest hits tour, but you do quite a lot of current material. How are you finding the right balance on tour? JR: I write a tour every year and take it out on the road, but when we got the opportunity to record a DVD I sort of wanted the chance to put a couple of older bits in. So we changed the title just to warn people that there might be some material that they’re familiar with. I don’t like the idea of short-changing people; I don’t want them to turn up and be disappointed with older bits that they may have seen before. In reality, it is a new tour and like you say, pretty much anything that’s on my mind at the moment or that’s annoyed me. I’ll certainly be talking about Phillip Schofield tonight. PD: The night you recorded your DVD then – was it just another gig, or were you particularly nervous? JR: I was very nervous. It’s an odd mix of emotions, really. You get used to a live gig just being live; so what’s great about the Newcastle show, for example, is that I’ll never have that group of people in that room again. You can really talk to the audience, talk about what happened that day in the news, how you got to the gig, and make it a very live, personal, one-off experience. To know that would then be recorded on DVD means you still have to treat it as a live gig, but also you need to be aware that everything you say is going to echo through eternity. It’s a different pressure, and if you let that get to you then…in reality, nothing I say deserves repeating in posterity. PD: You’ve just turned 30 – how did you celebrate? Were you working that day? JR: I was – I was recording Live At The Apollo! That comes out at Christmas. I’d just come back from America doing a documentary with Sean Lock, I flew back, did Live At The Apollo and then got incredibly drunk. I’d like to say I regretted it, but you’re supposed to do these things, aren’t you? I woke up with cake all down my jumper and no recollection of how that happened. I’ve obviously not gotten too mature too fast. If you’re waking up with chocolate cake down your top it’s safe to say you’ve still got some growing up to do. PD: Who wants to grow up anyway? I was reading online that you’ve lived with Russell Howard and John Robins in the past, who are mad as a box of frogs; what’s life like in that environment? JR: It’s not too bad. I live with [comdians] Matt Forde and Danny Buckler at the moment, who are both mates of mine on the circuit. It’s very rare that we’re all together, to be honest. We’re working most of the time. When you’re together you’ll maybe get a pizza and watch a film, and the rest of the time you’ll spend moaning about people on the circuit, what shows you should be on and who’s annoyed you that week. I spent most of my twenties living on my own in Swindon, and you’re never quite fulfilled on your own. Then you live with people and you get annoyed by little niggles. I tend to flip from one extreme to the other really, so I live in isolation for a period then suddenly I’ll immerse myself with people. There’s a happy medium somewhere hopefully, where you meet one person you like and settle down a bit, but that hasn’t happened yet. PD: What’re you like to live with then? JR: They tell me I’m all right, but I’m sure they’re just humouring me. I’m sure I’m terrible to live with. I get claustrophobic in my own head at times, so I’m sure having me tottering around the house is no great pleasure. I try and splash out on flamboyant things for the house now and again to literally bribe them to stay friends with me. Seems to work. JR: These periods in your career don’t last very long, so I’m trying to make the most of them. I’m playing beautiful rooms – the DVD was recorded at the Apollo on Shaftesbury Avenue, which is just an amazing place to be. To have that many people travel just to see you and hear what you think about the world is a privilege; I’m very lucky. I think you get to a point in your career when you don’t expect to get to this level of exposure, and it makes you think more about your idols. I spend a lot of time thinking about people like Max Miller and Eric Morecambe, who are still remembered 40 or 50 years later. It reminds me that no-one’s going to be talking about my routine on the word ‘Onion’ in half a century. 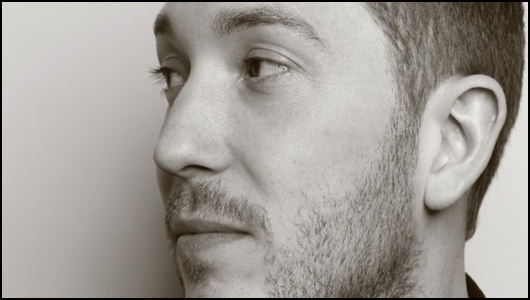 Jon Richardson is at the Tyne Theatre, Newcastle, on Monday 12th November. For tickets, see: millvolvotynetheatre.co.uk.